Come Dance, Sing Along, or just listen the the great music of these two very entertaining musical groups. Play “Name that Tune” and “Oldies Trivia”. Complimentary Refreshments Provided…..Win Prizes!!! 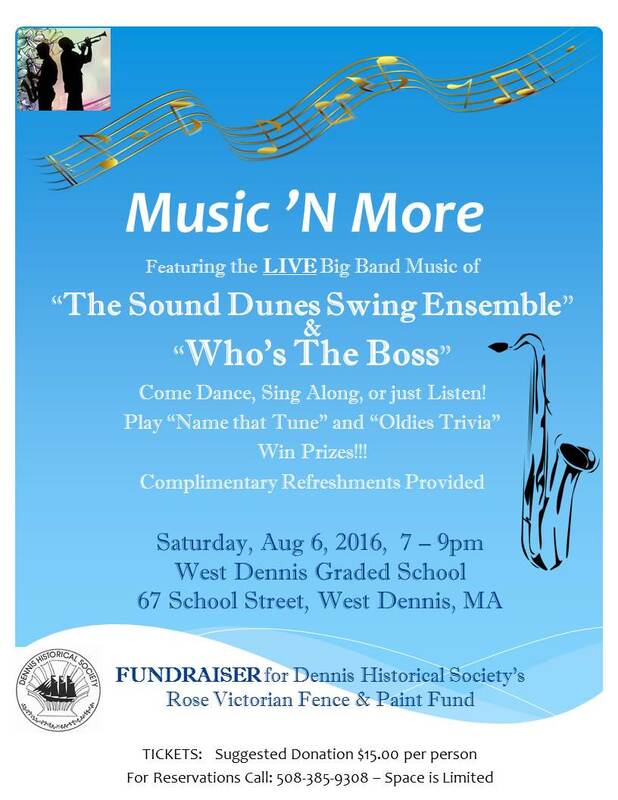 The suggested Donation of $15.00 per person goes toward raising funds for the Dennis Historical Society’s Rose Victorian Fence and Paint Fund. Attendees are advised to make reservations by calling 508-385-9308 because space in limited.